Crispy roasted Brussel sprouts that are seasoned with balsamic vinegar, garlic, and olive oil! These Brussel sprouts are life-changing delicious! Brussel Sprouts are one of my go-to veggie side dishes. They go with almost any main dish out there. Our favorite way to cook them is roasting them in the oven. I think they taste best when roasted with some olive oil, salt, and pepper. Today’s version also has balsamic vinegar mixed in there and it’s to. die. for. 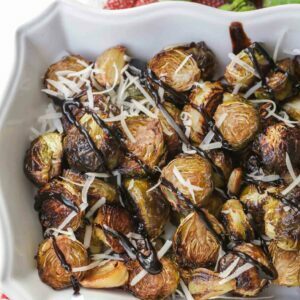 And because it’s the latest addiction, we’ve been making these sprouts with the balsamic vinegar reduction and a little shredded parmesan sprinkled on top! How good does that sound?? 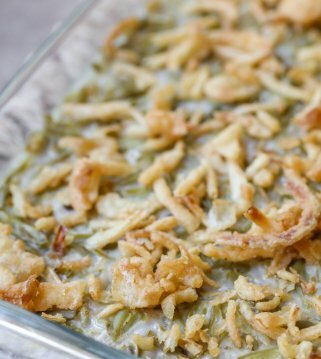 This recipe is perfect for your new year’s resolution to eat more vegetables! 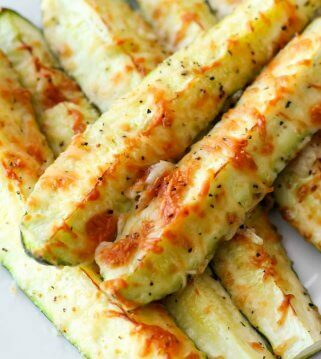 It takes an ordinary vegetable and turns it into something delectable! They are great for serving on the side of dinner, or preparing them and eating as a healthy lunch idea. Either way, you are bound to love them. And I promise your kids will like them too! The flavor is undeniable. If you’re going to eat vegetables, they have to be easy to make. 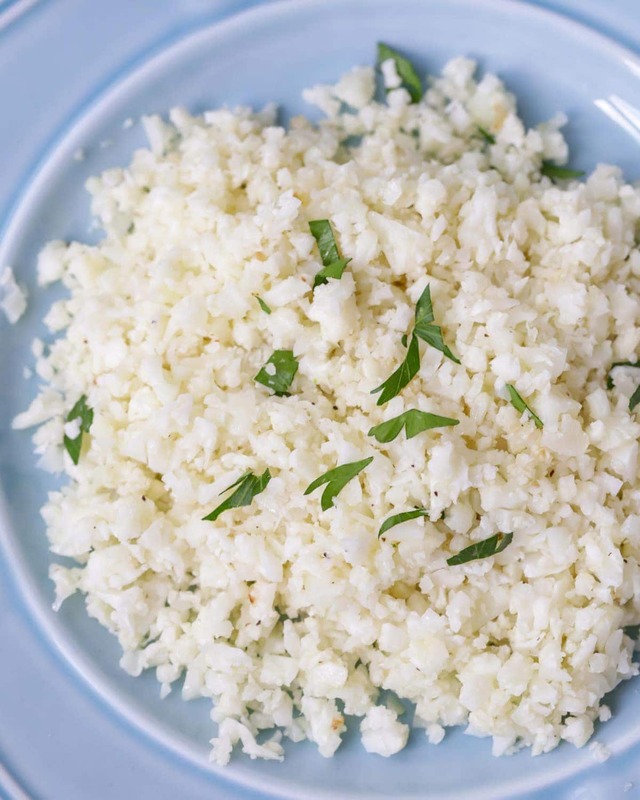 Good thing this recipe is super simple! Bake at 425 degrees for 20-25 minutes. 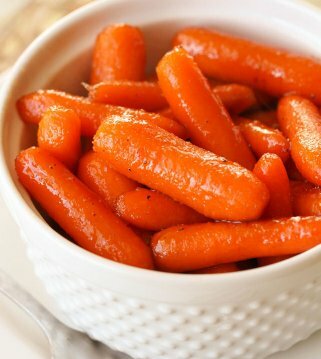 Take out every 5-10 minutes and stir them around so they can roast evenly. After they have cooked, turn the oven to broil and cook for an additional 1-2 minutes to get them nice and crispy. 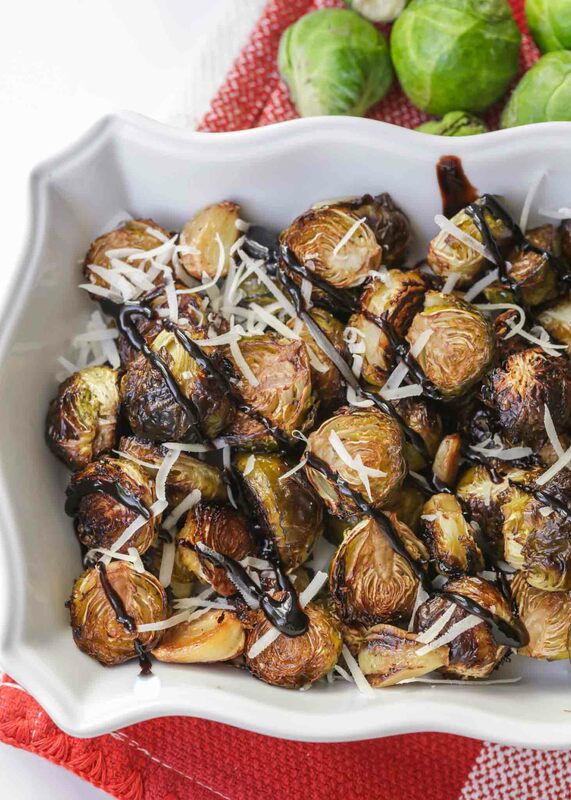 Sprinkle with balsamic vinegar brussel sprouts some shredded parmesan if you’d like – it adds even more great flavor! Can balsamic brussel sprouts be made in a pan? Yes, they can, but we think roasting them helps them become more crispy. 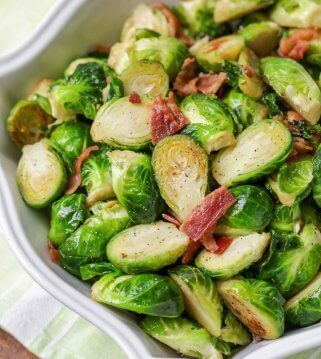 To try our brussel sprouts with bacon that are made in a pan, GO HERE. 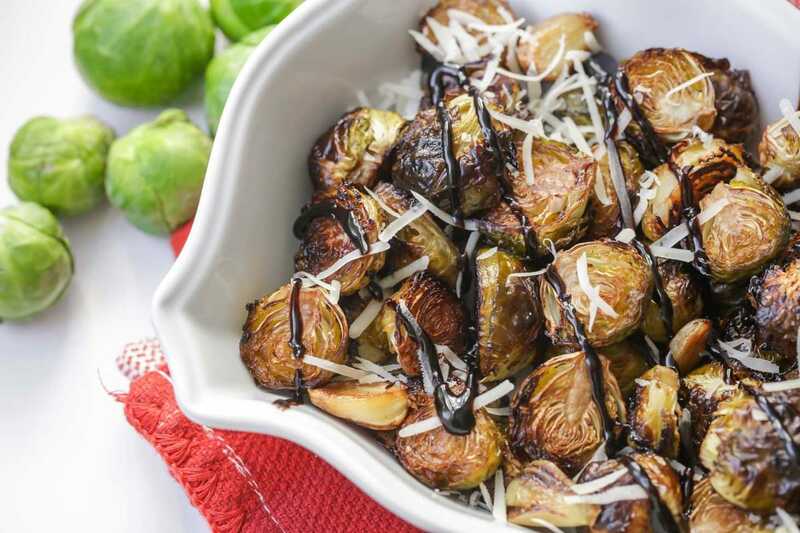 How to reheat balsamic brussel sprouts? We recommend sticking them back in the oven to heat them up. 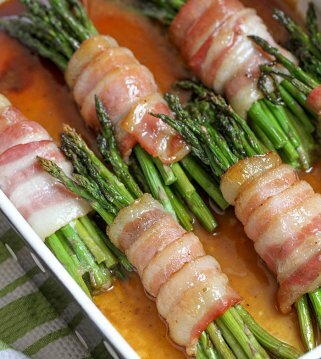 To get them a little more crispy you may need to broil them for the last minute or two. What to serve with balsamic brussel sprouts? Trim the ends of the Brussels sprouts and pull off any loose outer leaves. Slice each in half, lengthwise. 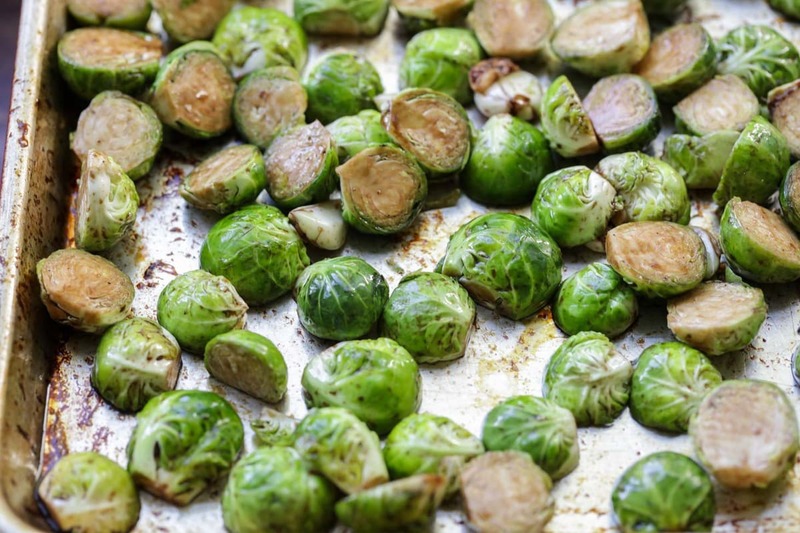 Mix Brussels Sprouts, garlic, olive oil, vinegar, garlic salt & pepper in a bowl until well combined. Spread on to a greased baking sheet or jelly roll pan. Roast in the oven at 425 for 20-25 min until tender. Stirring occasionally. Broil for the last few minutes. Enjoy! One of the few ways I will eat brussel sprouts!